Disclaimer: The lovely team at Go Ahead sent me a selection of their product range, in return for an honest review. The review words and opinions are my own. All photos are copyright property of Me Becoming Mum. We all know that we need to try and watch what we eat. We also know it is important - in a day and age where so much so called, 'junk food' is available - that we bring our children up to understand the importance of being healthy. However that doesn't mean that we can't indulge in something nice every once in a while. 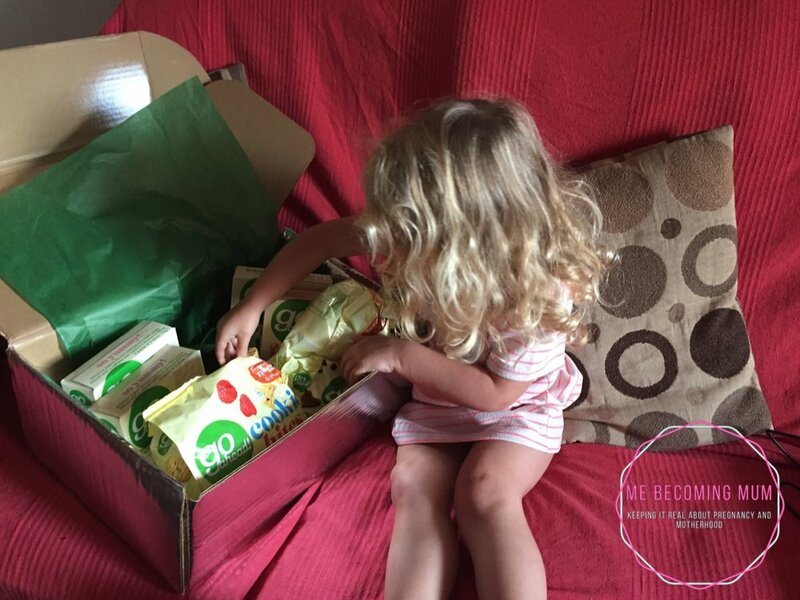 When we got the box full of Go Ahead goodies, I don't know who was more excited about it - my husband, my daughter, or me! My girl had so much fun opening the box and seeing what was inside, although I may have made a mistake letting her open it, as she immediately wanted to try one of everything! 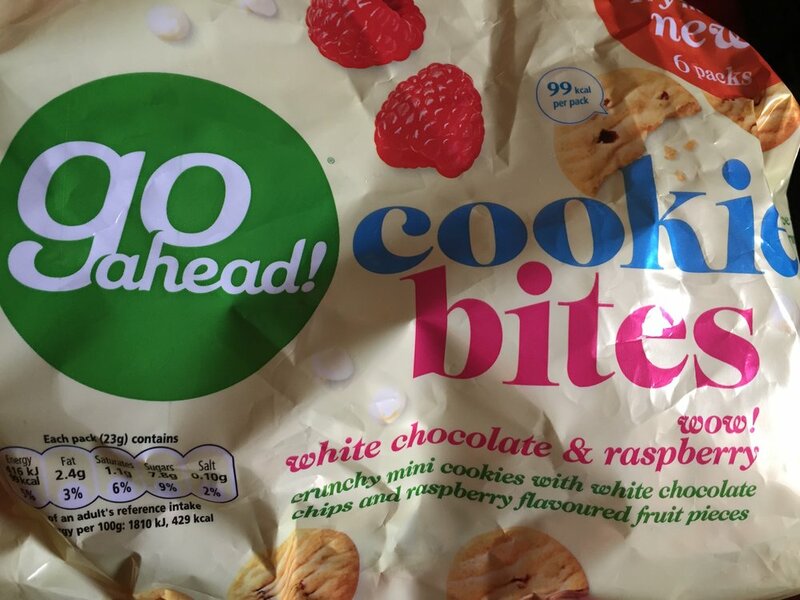 Go Ahead is the perfect way to indulge in something a little 'naughty', as they are not only totally lush, but are also healthy, contain fruit and are low in calories. There is a massive variety of products available in their range, from cookies to yoghurt covered fruity snacks. I have tried out some Go Ahead items in the past, but most of the items that arrived in my box from them were new to myself and my family, and we have all really enjoyed sharing them. My hubby's new favourite item to have as a late evening snack or as part of his packed lunch (which I am really nice and make for him to take to work with him) is the white chocolate and raspberry cookies. If I remember correctly, his initial assessment was, "these are super nice!" For me, I am completely in love with the strawberry fruity bakes. They are absolutely lush, and have quickly become a must have pregnancy food for me. Ignoring the fact that they are low in calories, they are small bars of tasty energy. 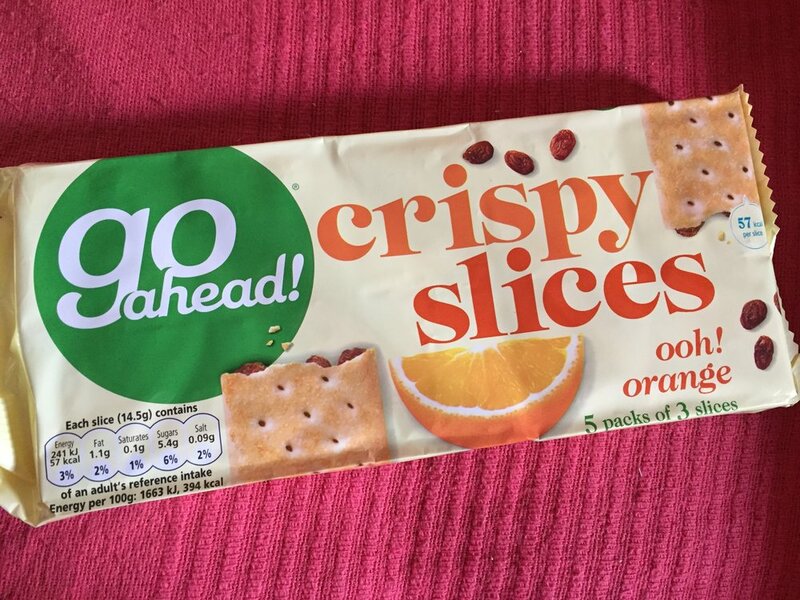 You can the Go Ahead website in order to view information about their range, and you can purchase these yummy items from most major supermarkets. We got a box full of Go Ahead goodies and I don't know who was more excited about it, my family or me.